U.S. Supreme Court Associate Justice Ruth Bader Ginsburg, a modern iconic figure, was born on March 15, 1933, in New York City. 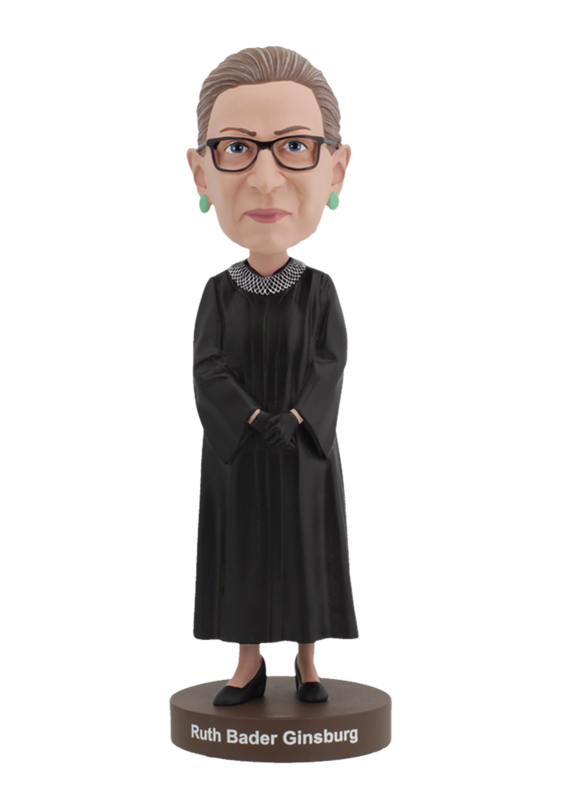 Ginsburg’s parents were Jewish immigrants to the United States who came from Austria and Russia. In 1993, she was appointed by President Bill Clinton to join the U.S. Supreme Court as an Associate Justice. A top graduate from Cornell, Harvard and Columbia Universities, Ruth Bader Ginsburg is the fourth woman to achieve this high distinction. Legal experts and academic scholars are largely unanimous in their views that Ruth Bader Ginsburg has played a key role in precedent-setting legal cases that have further clarified and strengthened rights guaranteed by the Equal Protection Clause of the U.S. Constitution’s 14th Amendment. 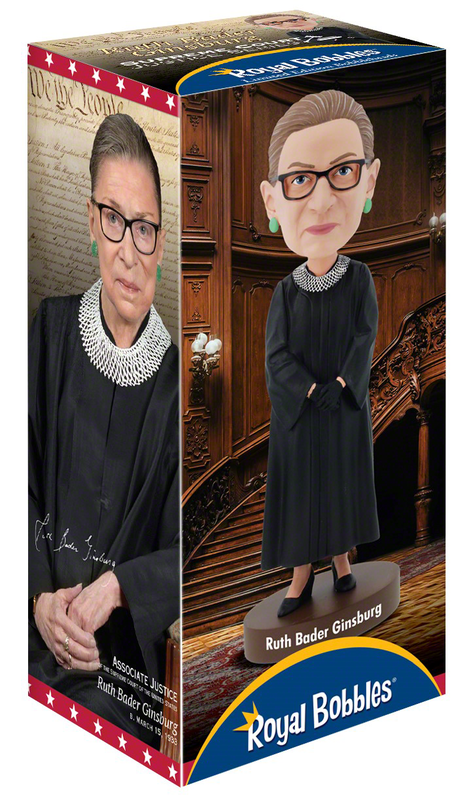 This exclusive Ruth Bader Ginsburg bobblehead by Royal Bobbles is the highest possible quality and features her iconic robe, ponytail, earrings, glasses, and black lace gloves.